This has been a wild month so far. 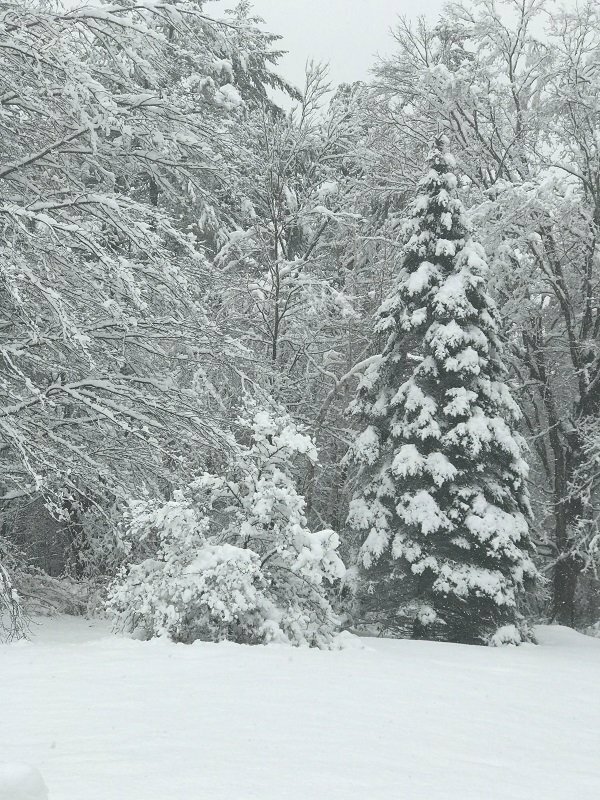 We had a big wet snow storm that knocked power out to almost the whole state! We here in Londonderry were hit the worst! 4 days without power! So we are a bit behind with our work here at the shop. 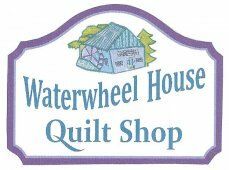 We hope you visit our website and take a look at our used sewing machines. We have several models loaded with accessories, some with embroidery. These machines have been completely serviced and are ready to go. They are in like-new condition. 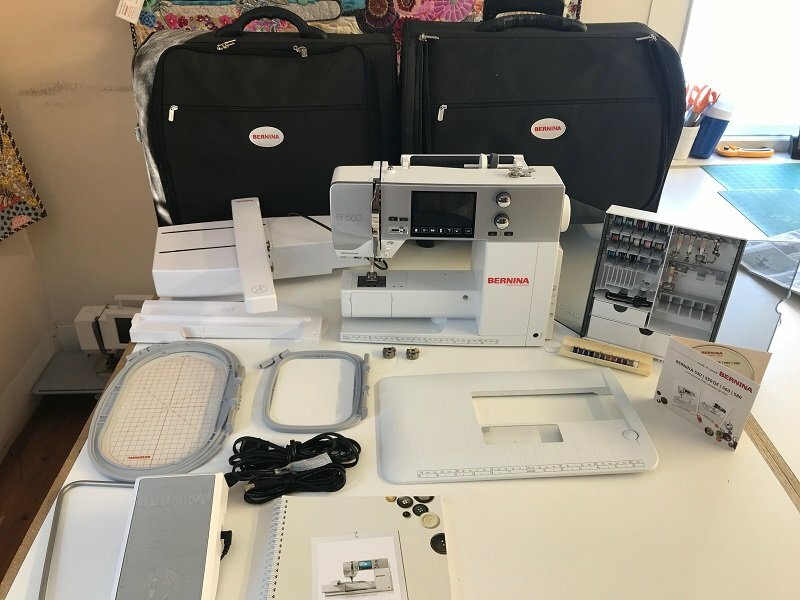 This is a great way to add special sewing features to your sewing at a great price! Just look at this 2 year old 560 w/embroidery! 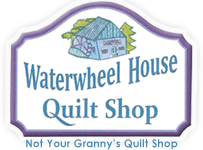 We have gift certificates available. Drop a hint and have your loved one give us a call. We can mail these out right away. December is the last month for the Kaffe Mystery. We can't wait to see the big reveal. You can call to order your wideback selection. 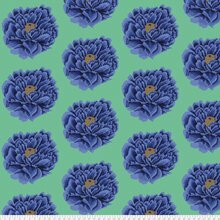 We have Mandala and Big Bloom in all colorways. This is Big Bloom in Blue. The wide backs are 108 inches wide. You will need 2 1/2 yards. 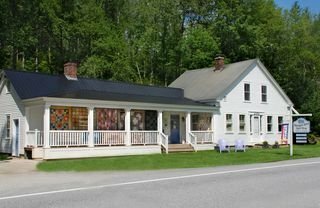 Here are 2 happy sewists! 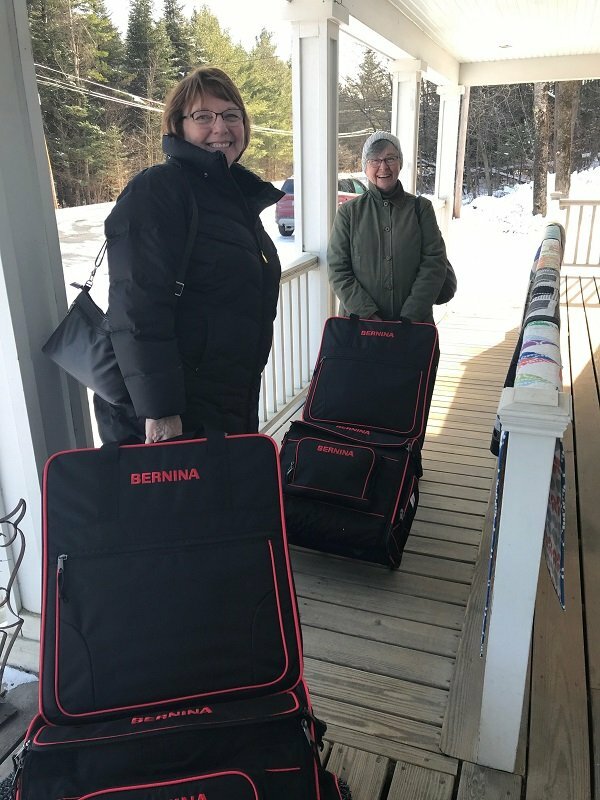 They are taking home their new 5 series machines with embroidery and suitcases to match! 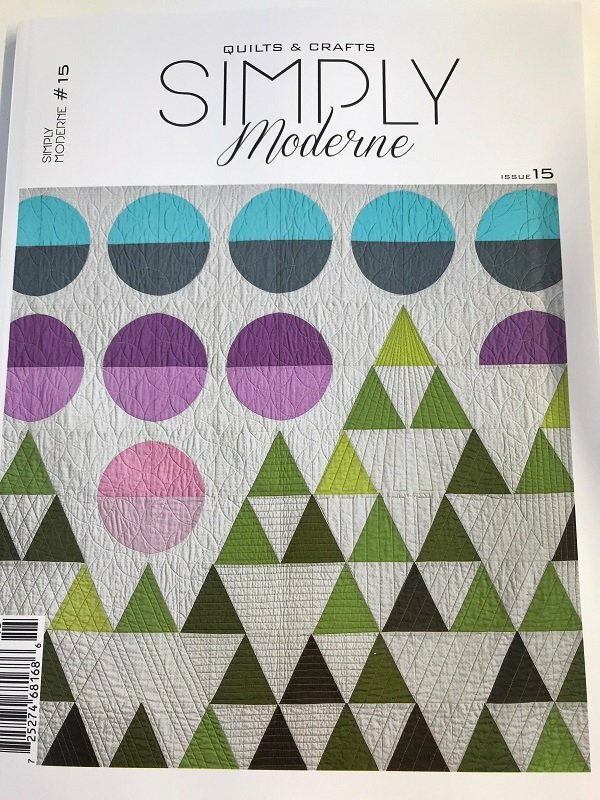 The latest issue of Quilting Moderne is here! There are some fabulous patterns in this issue! 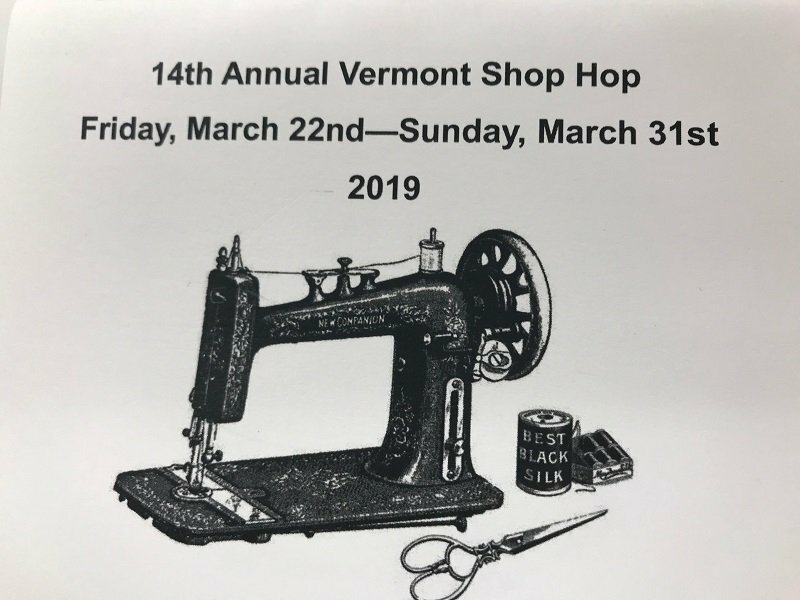 The 2019 Shop Hop Passports are here! When you buy a $7 passport, who get to select a free 1/2 yard of fabric. This is our gift to you for purchasing a passport! Getting ready for the holidays? We have some great small projects you can whip up quickly in time for Christmas. 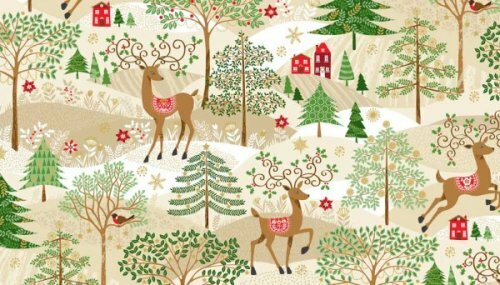 Plus our Holiday fabrics are the best! We hope to see you soon! Happy Holidays!